Located within the grounds of the Old Royal Naval College and a stone's throw from the world's last tea clipper, the legendary Cutty Sark, The Old Brewery sits along side Discover Greenwich, a cultural centre which tells the story of Greenwich to visitors to the World Heritage Site. Combining a cafe, bar and restaurant with a state of the art microbrewery, The Old Brewery continues the brewing tradition which started in Henry VI's day. Here brewers, including 2008 Brewer of the Year Alastair Hook, experiment with wild beers, old Tudor style ales and limited edition brews. 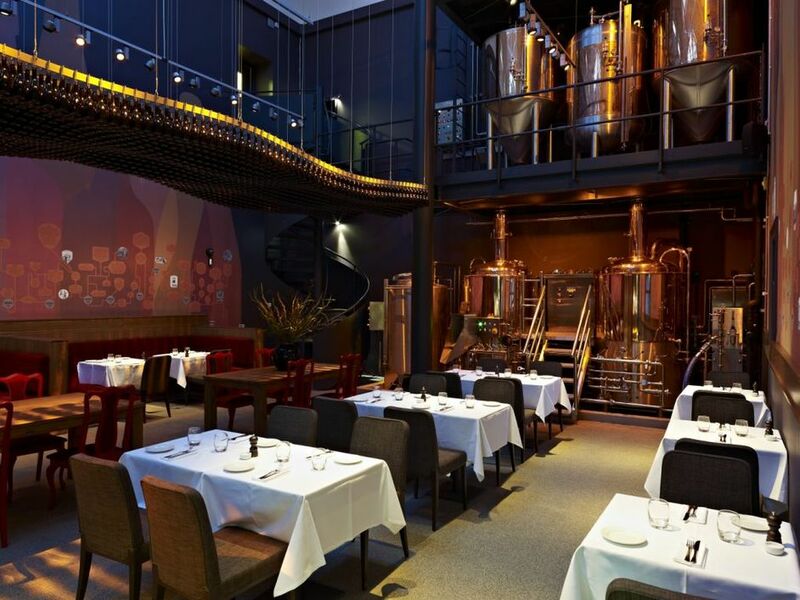 In the main hall you're overlooked by the copper-clad beer vessels as you sample the restaurant's beer-inspired dishes and choose from an extensive list of award-winning beers by the Meantime Brewing Company to compliment each dish. In warmer weather you can take your pint outside into the walled courtyard and enjoy a lazy day by the river. The Old Brewery clubs, bars, cabaret nights, casinos and interesting nightlife. What are the best dining options near The Old Brewery London? The Old Brewery gyms, sporting activities, health & beauty and fitness. The best pubs near London The Old Brewery. Where to have your meeting, conference, exhibition, private dining or training course near The Old Brewery. From cheap budget accommodation to luxury 5 star hotels see our deals for The Old Brewery hotels, including DoubleTree by Hilton London - Greenwich from 87% off.